The promise to help was there from the beginning of the fraternity in Oregon. Although the concept was with the establishment of Freemasonry in Oregon in 1851, there was always a promise to help Masons in need and their wives, widows and children. The initial attempt to establish an Oregon Masonic Home for “the aged and distressed” was introduced in 1883 by Worshipful Brother J.P. Galbraith, Master of Brownsville Lodge No. 36. The adopted resolution, however, was postponed and further action was delayed for 33 years. In 1907 Pendleton Lodge No. 52 voted to set aside $150 for the express intent of starting a fund to ultimately build a Grand Lodge Masonic Home. This money was kept with other invested funds of the Grand Lodge, and in 1917, when the principal and interest came to $250.00, MW Grand Master Will Moore (Pendleton No. 52) again brought forth the idea of establishing a Masonic Home. The Committee on the Masonic Home called for a special fund to be established. It would be known as the “Masonic & Eastern Star Home Building Fund.” Gifts, devises, and bequests would be received for that purpose; the minimum fees for degrees would be increased and for every Entered Apprentice initiated each Lodge would forward $5.00 of that sum to the Grand Secretary as part of the building fund; and the net income of the Grand Lodge from all sources except the Educational Fund, after the deduction of expenses and appropriations, would be set aside at the end of each Masonic year for this fund. When it had grown to $50,000.00, work began on the building at the chosen site in Forest Grove. In 1922 the Home had been built, furnished and was maintained from the money available in the Home fund. Only 68 percent of this had been paid by the Oregon Lodges, and all but three Lodges had contributed something. The Masonic & Eastern Star Home (MESH) opened for guests on March 1, 1922. The Home was dedicated on June 14, 1922. 1948 an increase in per capita fees was adopted to increase the Maintenance Fund of the Home. Today, as then, the Home still relies upon donations, bequests, and per capita of $5.50 for each Master Mason in Oregon, to operate. The Home is the primary charitable fund of the Grand Lodge and puts into practice the obligation that we have all subscribed to – one of the highest precepts of the Masonic Order. November 1926, construction of the Children’s Cottage on the grounds of the Masonic and Eastern Star Home was completed. Construction of that building was made possible by donations from the Order of the Eastern Star, the Scottish Rite, and the Grand Lodge. 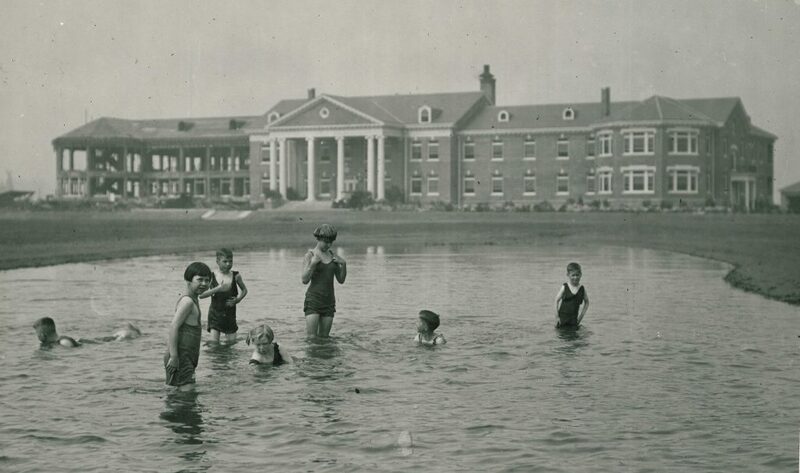 The Children’s Cottage was originally occupied by 27 children in 1926. Prior to construction of the Children’s Cottage, the children had been housed in the lower level of the Masonic and Eastern Star Home. The Children’s Cottage later became the headquarters of the Masonic Grand Lodge of Oregon, until the current building was completed in 2000. Supported by funding from the Masonic Grand Lodge, Jennings McCall Center was built and opened to the public in 1989 as an independent living retirement center. It is named after Berryman Jennings, the first Most Worshipful Grand Master of the Masons in Oregon, and Mary McCall the first Worthy Grand Matron of the Order of the Eastern Star in Oregon. In 1999 the Jennings McCall assisted living side of the facility was built and opened to the public. 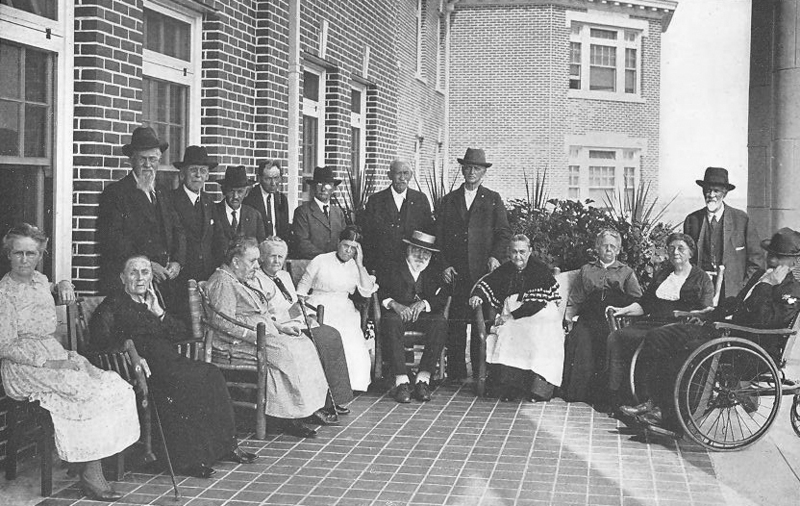 Members of the original Masonic and Eastern Star Home were moved to the modern assisted living units at Jennings McCall. Today, the original MESH building is leased to McMenamin’s and is operated as a hotel, restaurant and entertainment complex as McMenamin’s Grand Lodge in Forest Grove. The cost to operate the Home increased yearly, of course, and in August of 2004, the MESH Board and Grand Lodge Trustees voted to suspend action on applications for admission under the Life Care program, which was an asset surrender program. The primary reason for this change was a severe decline in revenue from the Home Endowment fund earnings used to support Life Care members, coupled with significant increases in their health care costs, and labor and supplies for them. Suspending applications was necessary to sustain the high quality of care for remaining members of the Home. As of today, there are remaining Life Care members residing at the Jennings McCall Continuing Retirement Community. Afterward, MasonicAid was established as a new way to offer caring commitment for our Masonic Family. MasonicAid seeks to support quality of life for worthy and distressed Oregon Master Masons, their wives and widows, and female members of the Oregon Order of the Eastern Star. These members who are in good standing for a minimum of the previous five years are eligible to apply for either of the two programs below. MasonicAid is funded through annual earnings of the Home Endowment Fund and has provided relief to the Oregon Masonic Family since 2009. 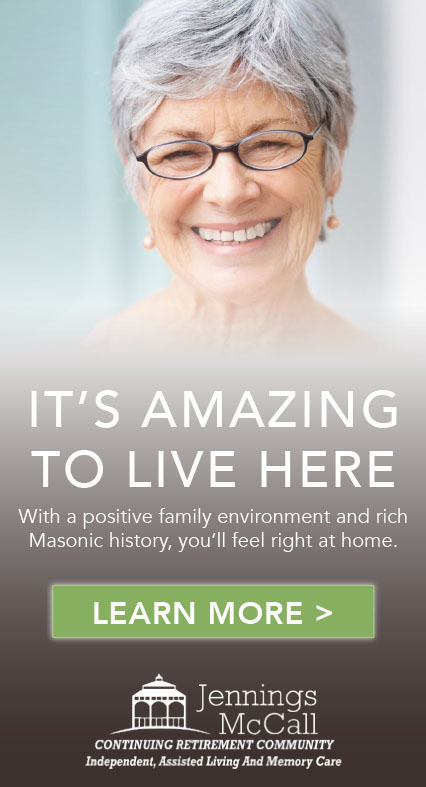 MasonicAid MESHCare: partners with approved applicants who wish to live in an Oregon retirement community to provide an ongoing subsidy for room, board and care as their funds and assets decrease. Personal assets may include Social Security, pensions, etc. OutReach Services coordinates resources for eligible members to help them remain independent, whether living at home or in a retirement community. Primary resources include in-home care, medical equipment, and service education and referral. Additionally, if a financial need is determined assistance may be provided for rent, utility and medical bills. These two new programs will work hand in hand to care for our Brothers, their wives, widows, and our Sisters for many years to come. Learn more about these programs. The Home Board supported Outside Maintenance for 31 years, from 1928 through 1959. Now, through OutReach Services, the old idea is new once more. KNOW A BROTHER OR SISTER IN NEED? A variety of services are available to those whose needs exceed their means.